I was born in Pau dos Ferros and raised in Mossoró, Rio Grande do Norte (Brazil). Problematic and addicted to crack, at the age of 17, I got involved with drug trafficking. I was the black sheep of the family. My mother “died of grief” when she found out what I was doing. 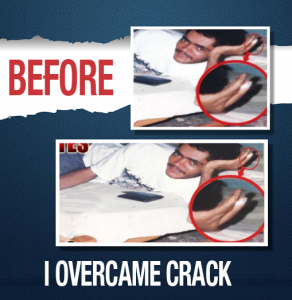 She begged me to stop using crack, but I couldn’t break free from the addiction. I tried to take my own life when I heard my sister ask, “Who are you going to kill next? You’ve already killed our mother!” Overwhelmed, I went to my room and pointed a gun to my head. I wanted to kill myself, but I couldn’t find the courage to pull the trigger. In addition to the problems with addiction, I also suffered because of my love life. When my relationship at the time came to an end, I thought my ex-girlfriend would come back if I went to church. Little did I know that the root of all my suffering was spiritual. This was how I arrived at the Universal Church. At the age of 19, another one of my sisters, who was already converted, saw something in me no one else saw. She saw that there was a solution to my problems. She anointed my chest with oil and, at that moment, all the grief I felt disappeared. An interest to seek the God she spoke so much about was awakened in me. The following day, without anyone knowing, I went out looking for a Universal Church. I was determined to change my life around. My conversion was quick, because I couldn’t stand all that suffering any longer. I decided from that day forward my life would solely be to serve God. I started doing chains of prayer in favor of my deliverance, and a few months later, after surrendering my life to God, I had my encounter with Him. Soon after, I received the Holy Spirit. 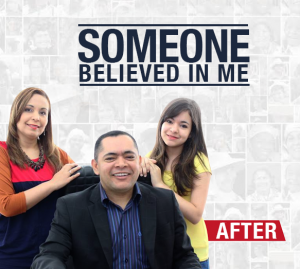 A new Jose was born, and along with him, a desire to serve even more, but on the altar, as a pastor. At the age of 20, I was raised as a pastor. This is where my journey began, in search of souls for the Kingdom of God. I was already a pastor when I met my wife, Eunice. Today, I am married and have a daughter. During the Cure for Addiction meetings, the young man that was once addicted to drugs, now helps people who find themselves in a similar situation. And, at the same time, I realize a dream: to be happy. Because someone believed in me. Praise be to God for changing your life pastor,your testimony will save many others.